Carrie Underwood attends the 54th Academy Of Country Music Awards at MGM Grand Hotel & Casino on April 07, 2019 in Las Vegas, Nevada. Carrie Underwood played up her eyes with smoky brown shadow. 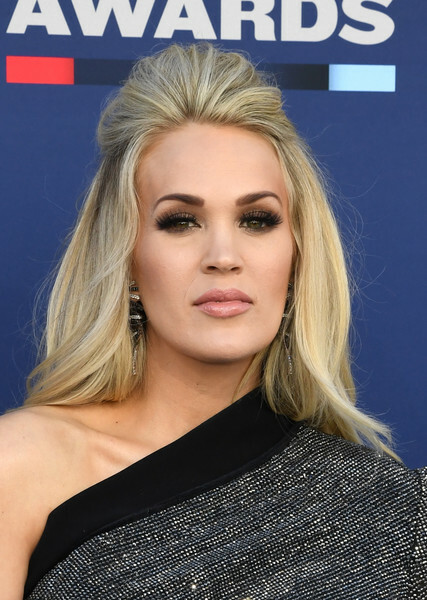 Carrie Underwood was retro-glam with her teased half-up hairstyle at the 2019 ACM Awards.